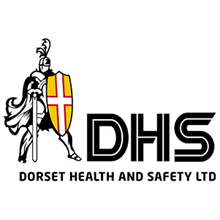 The National General Certificate is the most widely held health and safety qualification in the UK with over 175,000 people having gained the award since it was launched in 1989. 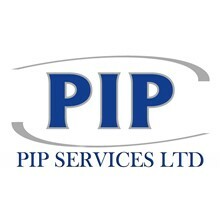 Our trainers have a wealth of health & safety and teaching experience; we guarantee that they will work tirelessly with you to help you achieve the best results. You will study for this course at our purpose designed classroom which is furnished to a very high standard. The NEBOSH National General Certificate covers the main legal requirements for health and safety in the UK, identification and control of workplace hazards and the practical application of this knowledge. The syllabus is mapped to the National Occupational Standards for Health and Safety owned by Proskills. No previous health and safety knowledge is required but candidates should note the assessment includes a requirement to write a report. Management of Health and Safety (NGC1). Health and safety practical application (GC3). Health and safety management systems - policy. Health and safety management systems - organising. Health and safety management systems - risk assessment and controls. Health and safety management systems - monitoring, investigation and recording. Health and safety management systems - audit and review. Work equipment hazards and control. Chemical & biological hazards and control. Physical & psychological health hazards and control. This accredited NEBOSH qualification is assessed by two exams of 2 hours each, and a workplace-based practical inspection project. The exams are conducted in the business centre where you studied NGC1 and GC2 and take place on the Monday morning following the GC2 week, the project is completed in your own workplace. The project should take no longer than a few hours to complete and you will have 7 days from the end of the course to return it to us by post. If you are currently unemployed, we can usually arrange somewhere for you to conduct a workplace assessment. If this is something you require, please contact us before booking. Those who successfully complete the course and pass the assessments are awarded the official NEBOSH National General Certificate in Occupational Safety and Health. Certificates are forwarded directly to the candidate by NEBOSH approximately 16 weeks after the completion of the course although results are usually issued within 10 weeks. All of our NEBOSH General Certificate courses are run as full-time block weeks, Monday to Friday 09:00am until approximately 5:00pm. 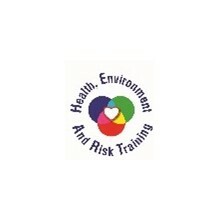 Whilst other health and safety training providers may attempt to offer the NEBOSH General Certificate in other formats such as e-learning courses, distance learning, one day a week/month etc, in our many years of experience we have consistently found that full-time block courses with exams scheduled straight after equates to a significantly improved likelihood of delegates passing all of the assessments required for actually achieving the qualification. You've successfully shared NEBOSH National General Certificate. An error occurred while sharing NEBOSH National General Certificate. Please try again.